One of my favorite things to indulge in during the Christmas season is eggnog!! I’m definitely a big fan, and I’ve even tried my hand at making my OWN eggnog from scratch! That was long before my blogging days so I don’t have a recipe to share (I guess I should add that to the to do list? ), but I do have other delicious and tasty ideas for my fellow eggnog lovers! You’ve got to check out these decadent Eggnog Recipes! Cherry EggNog Martini – Who Needs A Cape? Eggnog Custard Pie – Who Needs A Cape? Eggnog Pancakes – Who Needs A Cape? 35 amazing and decadent Eggnog Recipes you have got to check out! They all sound SO GOOD! Which one of these recipes are you going to try first? Thanks for including my Eggnog Cake! Yummy! 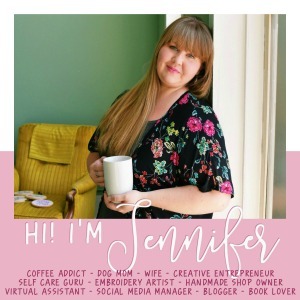 I found you on the #inspireme linkup. Pinned to our Kid & Kin blog Pinterest board! Eggnog-the drink of the gods! Thanks for sharing at the What’s for Dinner party!